The actor made her name on One Day at a Time. Viewers have seen her recently on Orange is the New Black. But, Phillips’ real passion is helping others heal. CeDAR is bringing her to Denver in May. Mackenzie Phillips’ rock star dad taught her how to roll joints when she was 10. Soon after mastering that, the fifth-grader brought some of her dad’s cocaine and a little spoon to school. The white powder spilled before she and a friend could attempt to snort it in a closet in the back of the classroom. Phillips zoomed to fame at 15 as rebellious teen, Julie, in the hit sitcom, One Day at a Time that ran from 1975 to 1984. Her childhood was both a fairy tale, full of adventures in mansions with serpentine swimming pools, and a nightmare of parental neglect, that launched her on a years-long struggle with addiction. When: Wednesday, May 8, 7 p.m.
Phillips recounts it all in her mesmerizing memoir, High on Arrival. Yes, it’s shocking. And, your heart will break for the 5-year-old girl who searches for breakfast on her own during an island vacation while the adults are partying and making music. At age 12, Phillips inexplicably arrived alone in San Francisco for the filming of American Graffiti. The director had to make quick arrangements to become her temporary guardian. Later, as an adult, Phillips was horrified and ashamed to be shooting up in her bathroom while her toddler son called for her on the other side of the door. It was a terrible repeat of her childhood and motivated Phillips to get clean in 1992. Then, 10 years later, she slipped back into drug use after coping with pain from surgeries and hit bottom again in an embarrassing public drug bust in 2008 at Los Angeles International Airport. Phillips was supposed to be flying across the country for a One Day at a Time reunion on the Rachael Ray Show. Instead, she found herself in jail. The shame propelled her to get clean again. “Handcuffs and two felony counts. That’s what wakes a person up,” Phillips said. Phillips knows she’s lucky to have survived her years of drug use. Since recovering, she has discovered that her passion is helping others cope with trauma and overcome their addictions. She is also the author of a book called Hopeful Healing. Since 2013, Phillips has worked as a substance use counselor. She is now a manager and counselor at Breathe Life Healing Centers in West Hollywood, California. Phillips will come to Colorado next month to speak about her life and her recovery at the Tattered Cover Bookstore, Colfax. CeDAR, the Center for Dependency, Addiction and Rehabilitation, UCHealth’s renowned treatment center, is sponsoring Phillips’ talk. The discussion and book signing on May 8 at 7 p.m. is free and open to the public. For more information, click here. It’s incredibly powerful for celebrities like Phillips to share their stories because they can reduce stigma tied to addiction and help more people get treatment for substance use disorders and depression, said Susan Dearing-Bond, CeDAR’s Interim Executive Director. “Typically, when you say someone is fighting cancer, we say, ‘OK.’ We want to do the same for people fighting addictions and those who are in recovery,” Dearing-Bond said. “This is not a disease people ask for. Their recovery is just as important as someone battling diabetes or cancer. What’s especially remarkable about Phillips is that she hasn’t lost her sense of joy and wonder. “I’m a very cheerful person. I’ll be 60 this year. I perceive the world as a beautiful place,” Phillips told UCHealth Today. She’s a homebody who loves waking up with her four rescue dogs, two pugs, Rudy and Franklin, and two Chihuahuas: Louie and One Eye (named of course for his one eye). She also has five cats. “I’m that woman,” Phillips says with perfect comic timing. Phillips loves simple pleasures at home. “If you are a person who has had complex trauma – traumatic events over time, not a single event like a shipwreck or being in the World Trade Center – you have to really look at what makes you feel safe. I love what I do. I live a very full life. And 98 percent of my time is spent at work, out speaking or on TV. Phillips shares her home with her adult son, Shane Barakan, a musician, who does other jobs. “He’s a renaissance man,” Phillips said. The two enjoy game nights together and with friends. Phillips likes strategy games like Azul and Viticulture. “We try to play at least once a week after work. We have some laughs. We order in food,” she said. Phillips also enjoys solving strategy questions at work, like what types of therapy work best for which patients. “I’m very task oriented. I’m very good at system improvement,” she said. She also leads groups about twice a week, where her experience as an actor comes in quite handy. She has an outstanding bullsh*t detector. “I’m an actor. All addicts are actors to a point. When we’re actively using or in the disease, we’re trying to make a lot of people think we’re OK. We’re using all our skills to dodge people,” Phillips said. Some of Phillips’ clients are clueless about her fame. And that’s just fine with her. Others are stunned when they recognize her. 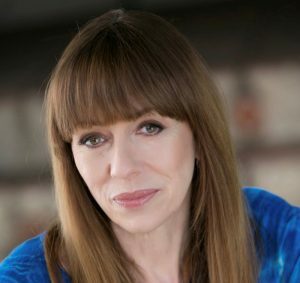 Phillips confirms that she is indeed Mackenzie Phillips. When patients are curious, she indulges them for a few minutes. “I know. Out of the 8 billion people on this planet, we ended up in these roles. Then we laugh and we put it aside and we can get on with the treatment,” Phillips said. Integrated with the academic medical center at UCHealth University of Colorado Hospital and the University of Colorado School of Medicine, one of the top teaching hospitals in the U.S. Most people know her today simply as Mac, a quirky, fun-loving optimist who cares deeply about people. Phillips is a big believer in appropriate, evidence-based drug and alcohol treatment, and that’s of the reasons she’s coming to CeDAR, which is the only center in the Rocky Mountain region that’s affiliated with an academic medical center – UCHealth University of Colorado Hospital. The key to healing for Phillips was dealing with the abuse and trauma in her past. Coping with trauma doesn’t mean Phillips is ever really over it. She simply doesn’t dwell forever in her sorrows. Phillips has learned to protect herself, especially when pain from her past resurfaces. These days, if she has to face some pain tied to her past, she’s much more deliberate, aware and kind to herself. She knows she has to be her own rock and protects herself, as much as possible, from anything that will re-traumatize her. “People will fail you. Your heart might get broken. Everything feels risky when you’re a trauma survivor,” she said. What surprises some of Phillips’ fans is that after careers in acting and music, she’s found her new favorite calling. “I found a way out and I feel beholden to share the good news,” he said. In addition to writing her books, acting and helping patients directly, she also speaks regularly to large audience. She confides that she sometimes gets nervous before sharing her story. But, instantly she’s in her element. “I speak as a representative of Breathe. I speak as Mackenzie Phillips. I speak as a trauma survivor. I speak about nutrition and eating disorders,” she said. She worries about the dangers for drug addicts now. “One shot of fentanyl and it’s over. Waiting for someone to hit bottom could be a death sentence now. We have to raise where the bottom is and intervene before it’s too late,” Phillips said. Through her mission of helping others, Phillips finds that her own recovery gets easier every day. For others who haven’t found their path to healing and recovery yet, Phillips offers hope. She knows that truisms about recovery sound corny. But, said Phillips, they’re actually true.